Identified the root causes of the occurrence of pesticides in spice and spice products, sensitizing the agricultural ministry and inciting action on the same. Initiated a direct link with Bayer India to work to remove the use of illegal dye, Rhodamine from pesticides and to combat its occurrence in the final exported product. Representations were made with Ministry; Press Conferences were conducted (together with the exporters’ forum based in Mumbai) for the inclusion of VKGUY for Pepper and Chillies. 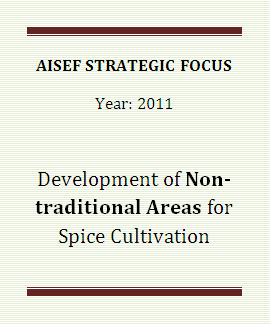 Provided crucial support forming the “World Spice Organization” with the idea of bringing focus to sustainable agriculture, creation of exportable surplus and harmonization of test methods. Mooted the idea of strengthening Spice House Certification (Spices Board), with the goal of conferring the final authority status to the Spices Board for Indian Spice Exports. Proposed and got implemented the suggestion of forming a Technical Committee at Spices Board with the full participation of Senior Scientists/Chemists in the Industry. Discussions here have lead to the spreading of best practices across the industry.